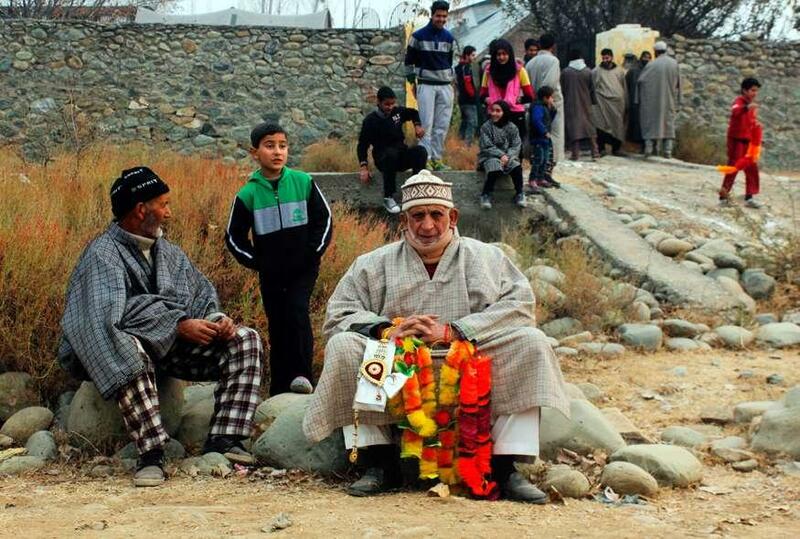 1/9 Tajamul's ailing Grandfather awaits her arrival with handful of flower garlands. 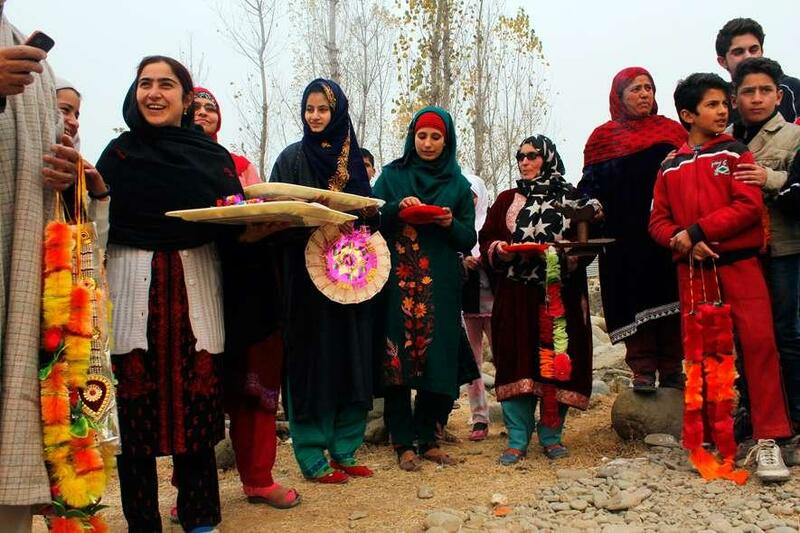 2/9 Tajamuls relatives wait for her arrival anxiously with garlands and sweets. 3/9 Tajamuls is received at home. 4/9 Tajamul received at home. 5/9 Tajamul poses for a photo with her friends and siblings at home. 6/9 Tajamul hugs her little brother as her sister and mother pose for a photograph at home. 7/9 At Tajamuls home guests served with hot Kehwa from Samovar. 8/9 Tajamul shakes a leg with Razia her sister on her her home arrival. 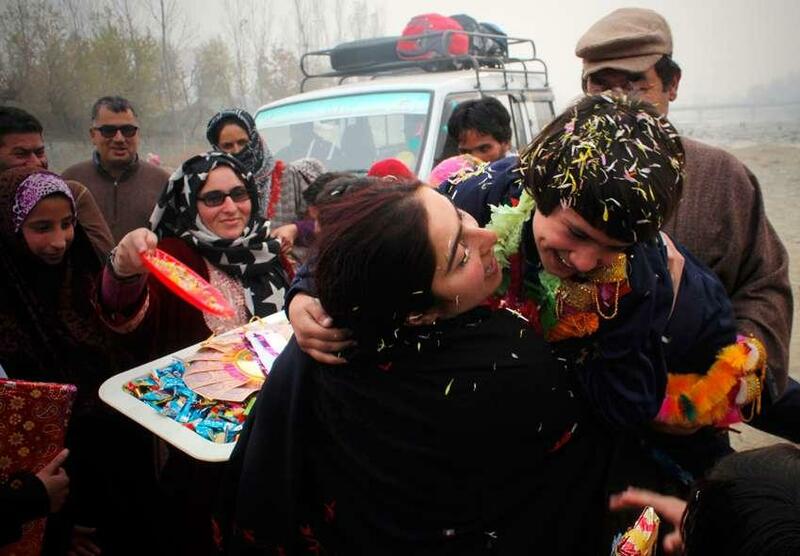 9/9 Tajamuls father and mother Kiss Tajamul on her arrival at home. 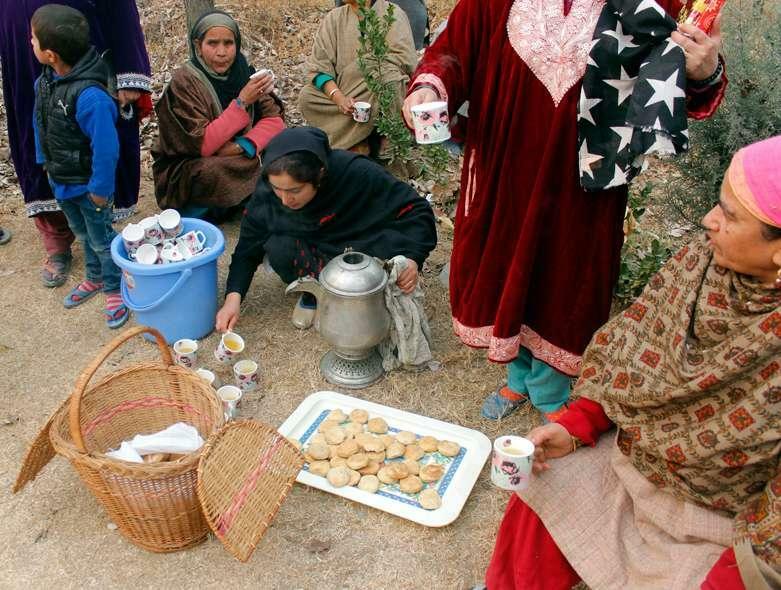 As the winter sun remained shy behind the clouds on Sunday afternoon, the Samovar boiling Kahwa filled the air with hot mist inside the house in Muslimaabad village, on the banks of the Madhumati river in Bandipora town of Kashmir. Defying the cold, kids happily dyed their hands, even as they decorated walkways with chalk powder drawing arrows, smiles and welcome signs. 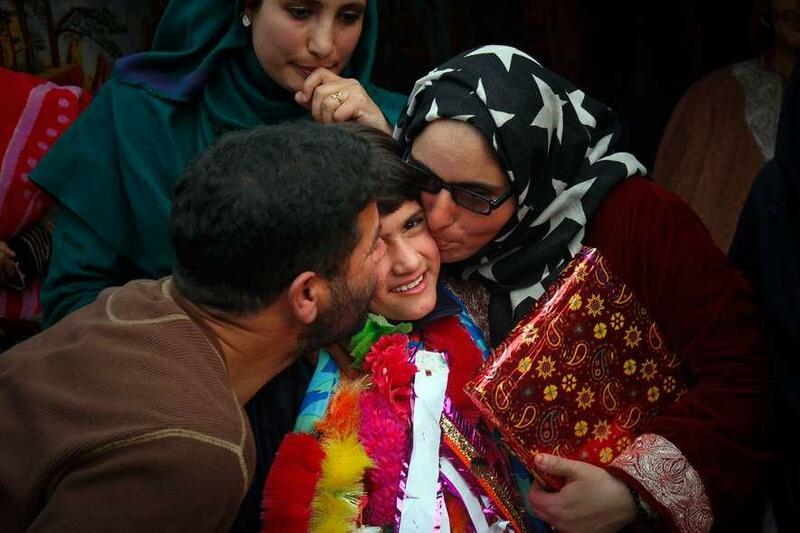 Tajamul Islam, an 8-year-old kid and a world kick boxing champion was coming home from Italy. 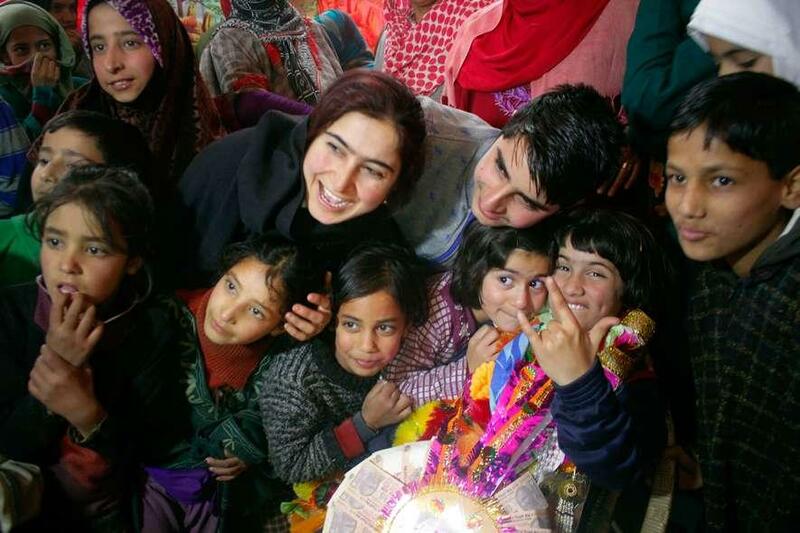 The relatives - young and old, siblings, neighbours and kids who practiced kick boxing with Tajamul waited anxiously for the champion\'s arrival carrying garlands, flowers and sweets for her. 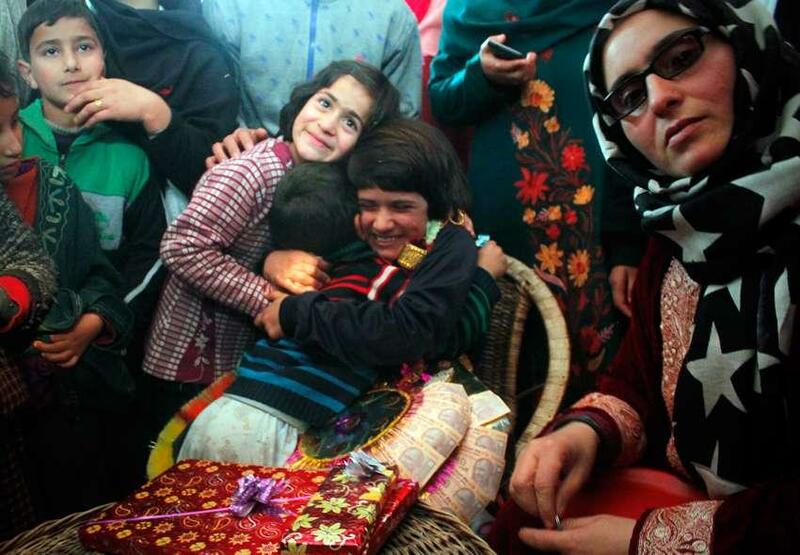 But the absence of local administration to felicitate "the daughter of Kashmir" surprised many among her relatives. 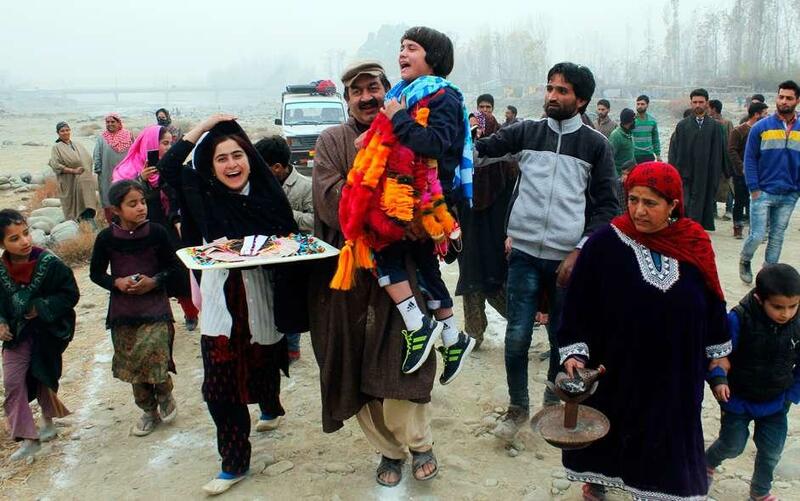 The wait was soon over as Tajamul arrived in a Tata Sumo - a local transport vehicle, even as Kashmir witnessed a full business day over the weekend after 133 days of complete shutdown. It was a heartwarming moment, as the world champion was garlanded from head to toe, hugs and kisses exchanged and everyone shook a leg with the kid in jubilation. Of course, Tajamul is no ordinary kid: she is as straightforward and clever in her behavior as she is skilled in kick boxing, wushu and taekwondo. She\'s also very rooted, happy to make everyone proud and thankful to her parents, for without "them it was impossible." Tajamul is bored of Italian food already and wants to ask her mother "has she cooked my favorites?" Her favourites being chicken with collard greens, and yes, her mother had indeed cooked the dish. Despite the \'bad\' experience with food in Italy, Tajamul is attracted to the behaviour, cleanliness and discipline of the country - "they are good unlike here," she says. For Tajamul, it was ultimately her confidence which made her win the final milestone. "The fight there was very tough, I felt scared when I got on the mat but then I remembered my mother, father and recalled everyone\'s prayers for my success and I went on defeating Italy, France, Japan and Canada." The last opponent - an American, was very tough and the world champion shares the secret behind overcoming her too. 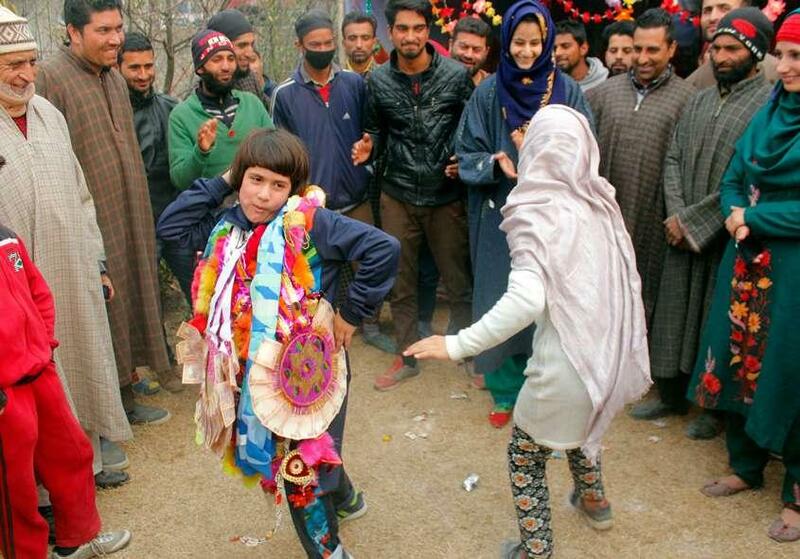 "The USA player was very hard-hitting but then during fight I told her "kha Kashmiri bhoosa" and then I kicked her." Smiling, Tajamul said her opponent should have known what a Kashmiri kick feels like.